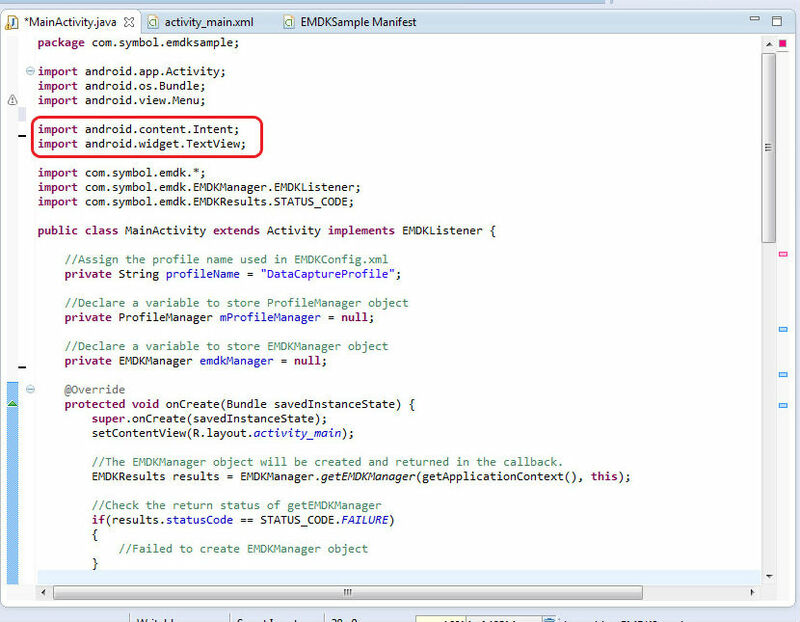 This tutorial will walk you through adding Intent Output support to the EMDK For Android application you made using Developing an EMDK for Android Application Part 1. 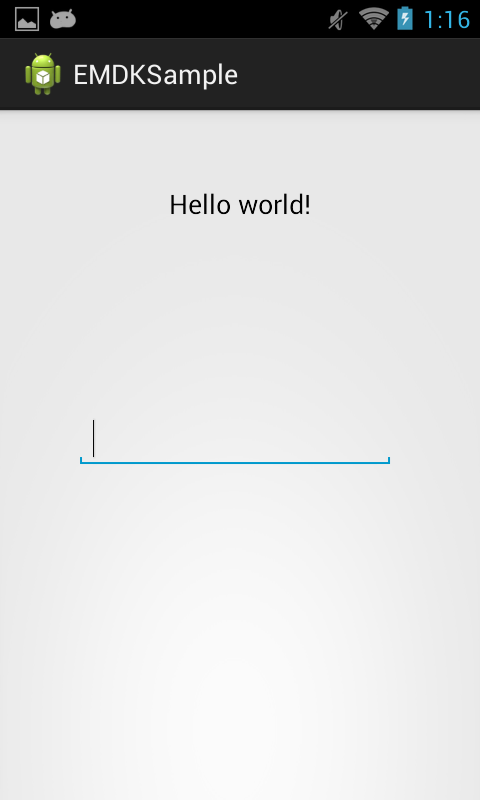 This tutorial will assume your project is at the state of the end of that tutorial and build on top of it. 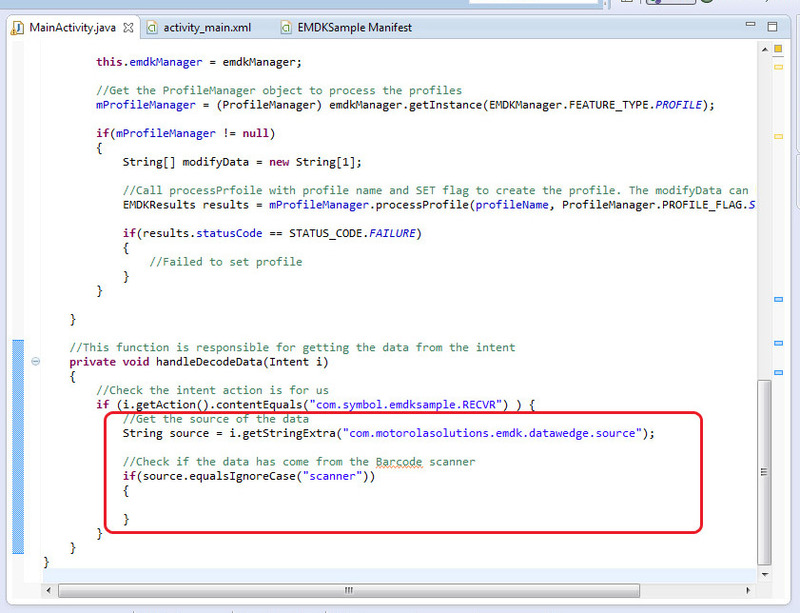 You can follow the tutorial in the previous step of download the source from the previous step and start from there. The tutorial uses EMDK V 2.1 that has organized existing features as well as got some new features that would be discussed later in the tutorial. 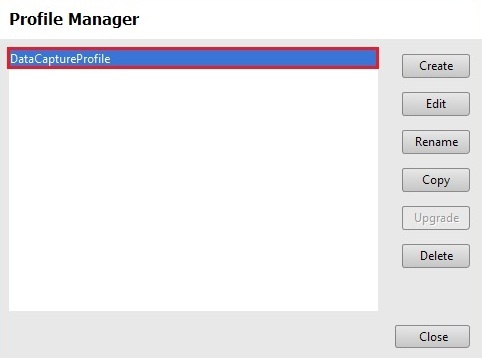 select "DataCaptureProfile" and click "Edit". 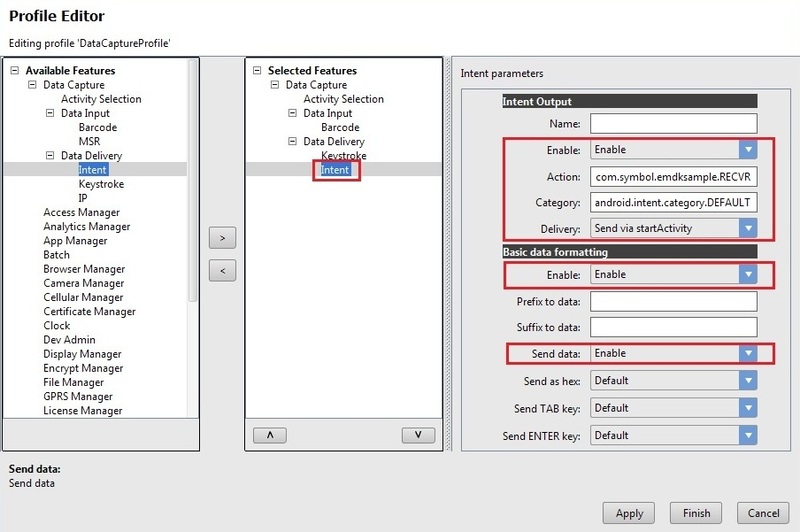 Select "Intent" from the list of "Available Features" and add it to "Selected Features" by clicking "Right Arrow". 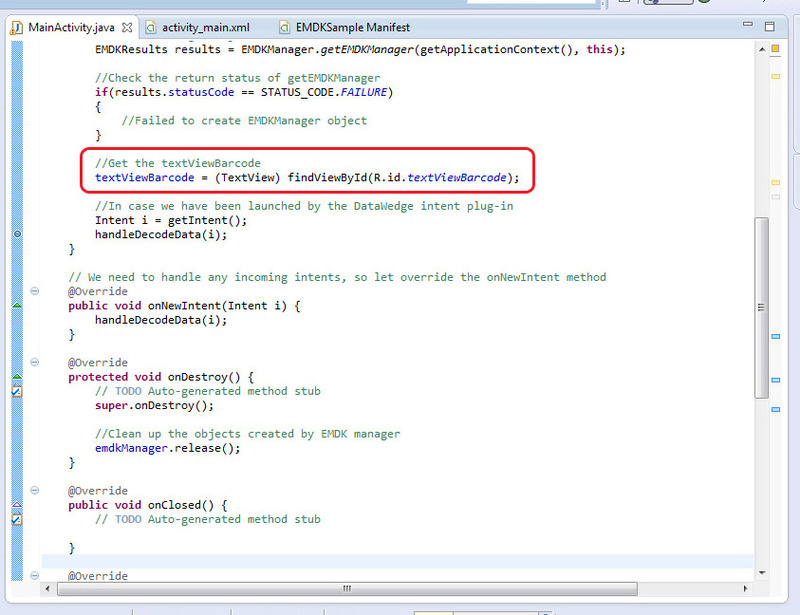 Note: The field "Name" contains user defined name to identify a particular Intent Output feature. 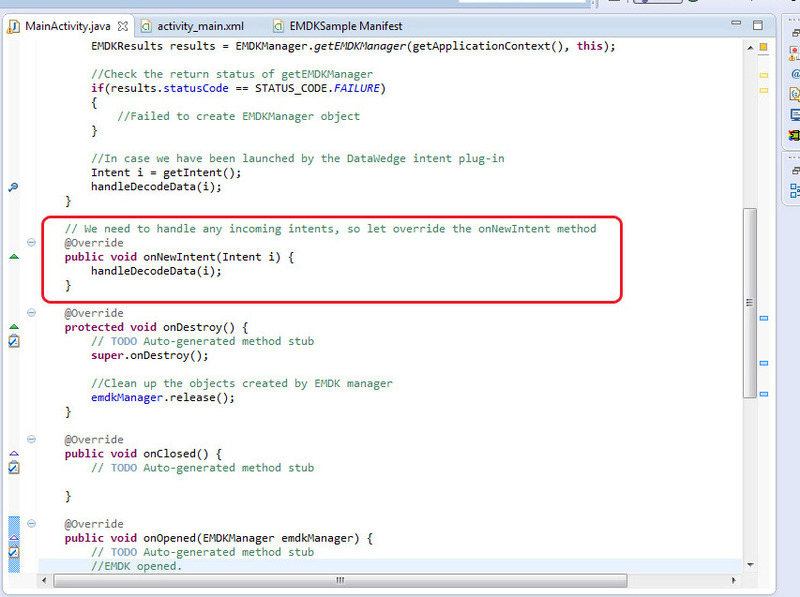 This is required when editing any specific Intent Output feature programmatically, which is outside the scope of this tutorial. So we will keep the "Name" field empty. Select "Intent" from the list of "Selected Features". 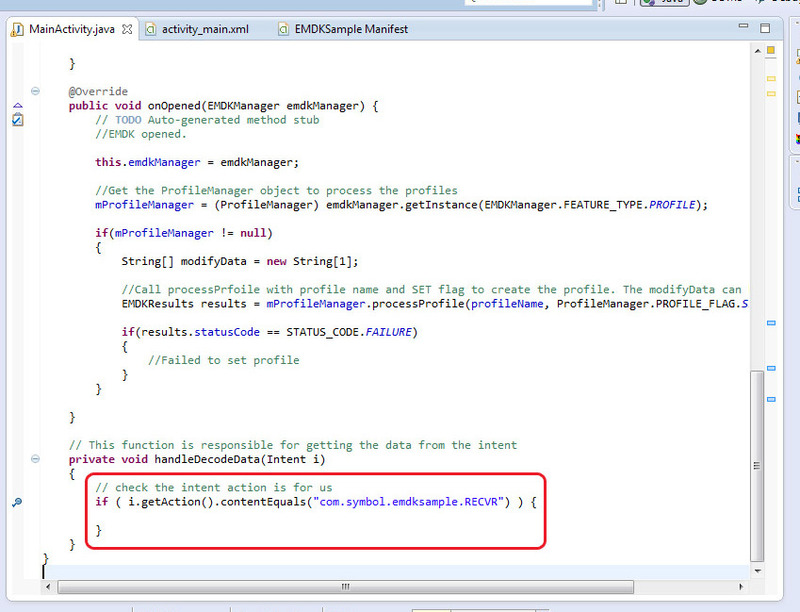 For "Intent Output Action" enter "com.symbol.emdksample.RECVR". 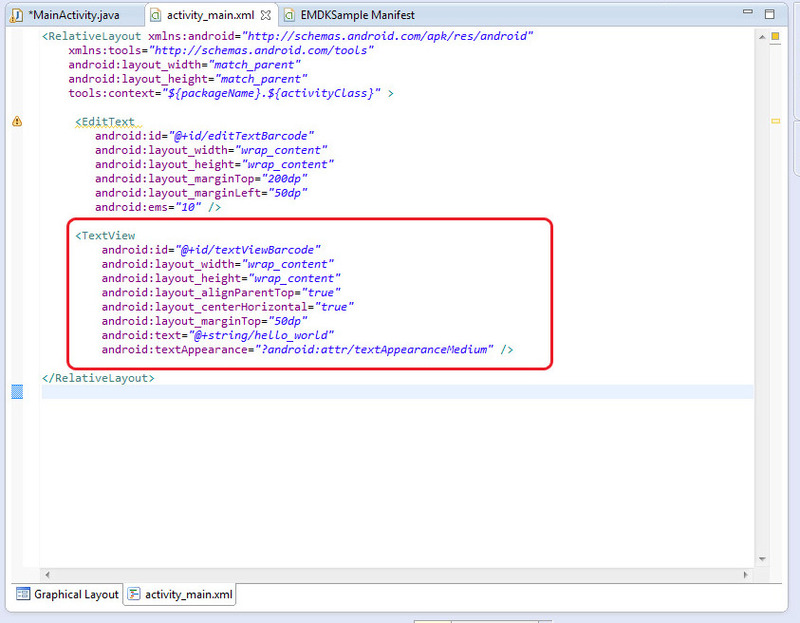 >Now the "EMDKConfig.xml" under "\assets" folder will be updated with your changes. 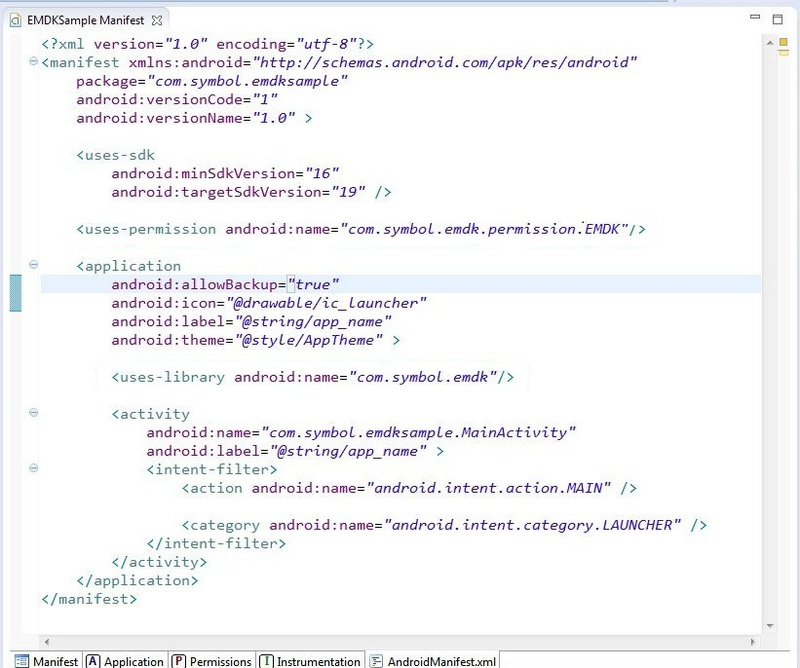 Make the following changes to your application's"Manifest.xml" file. 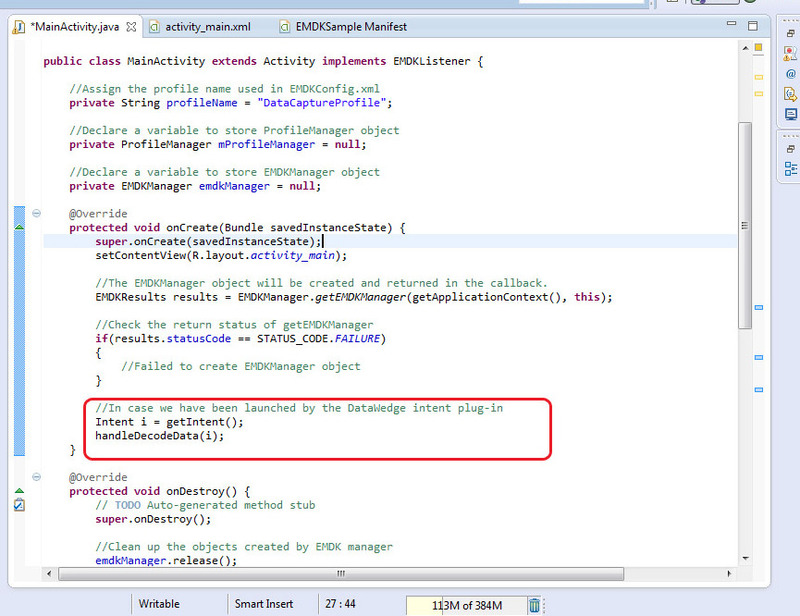 Add the following parameter to your activity settings to enable "singleTask" mode. Add the following imports to your program. 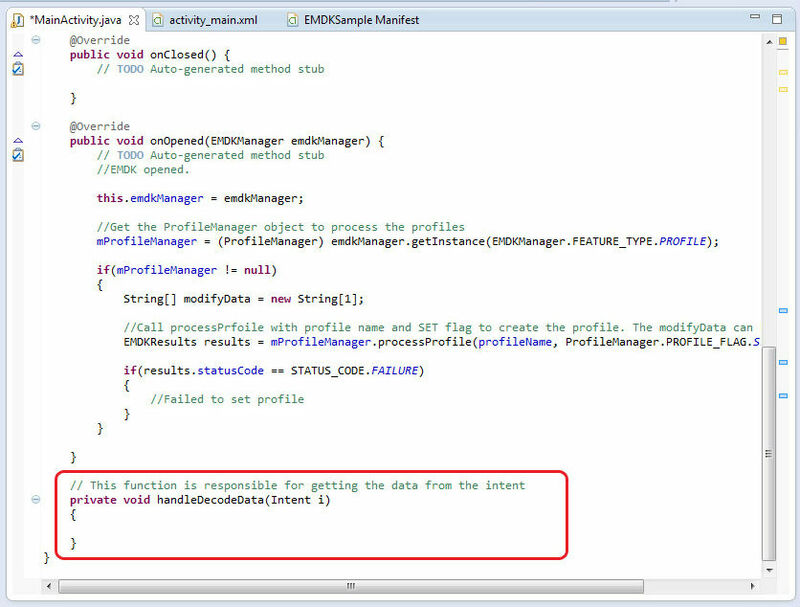 Add the following function to your program for processing intents. 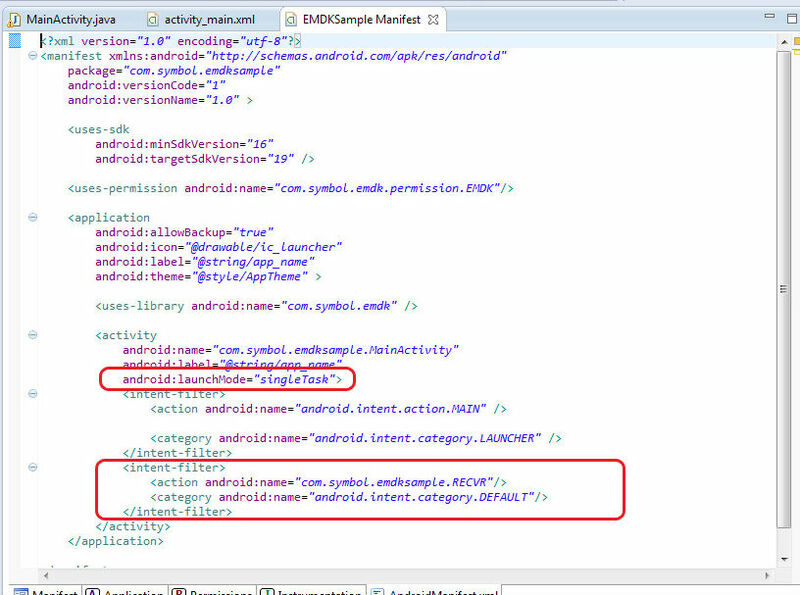 Add a TextView in the UI called "textViewBarcode", inside "res/layout/activity_main.xml". 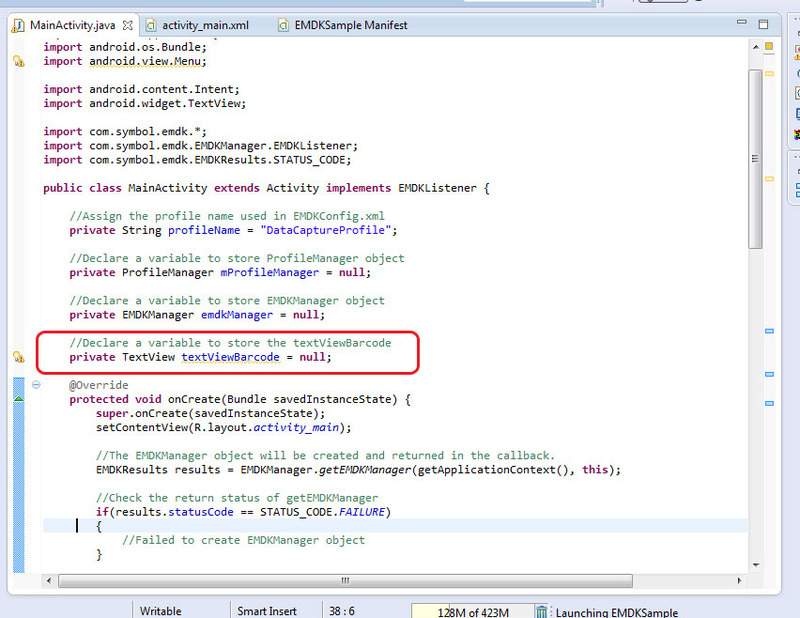 Add the following code to your "handleDecodeData" function to check if the intent contains Barcode data. 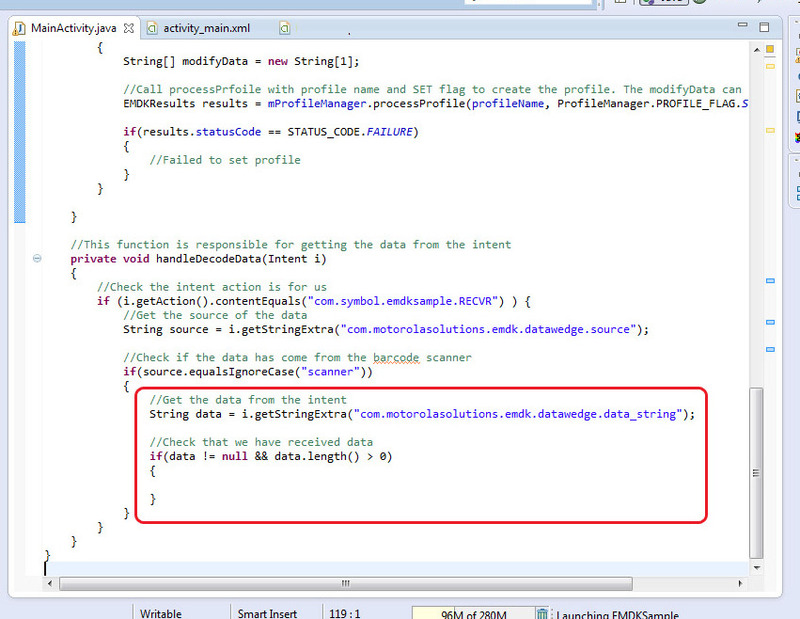 Add the following code to your "handleDecodeData" function to retrieve Barcode data. 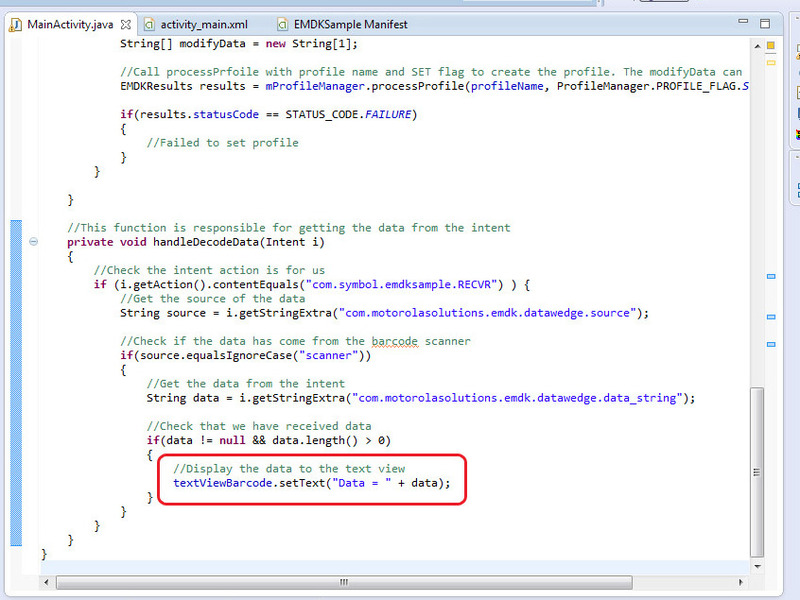 Add the following code to your "handleDecodeData" function to populate the TextView with the revived Barcode data. 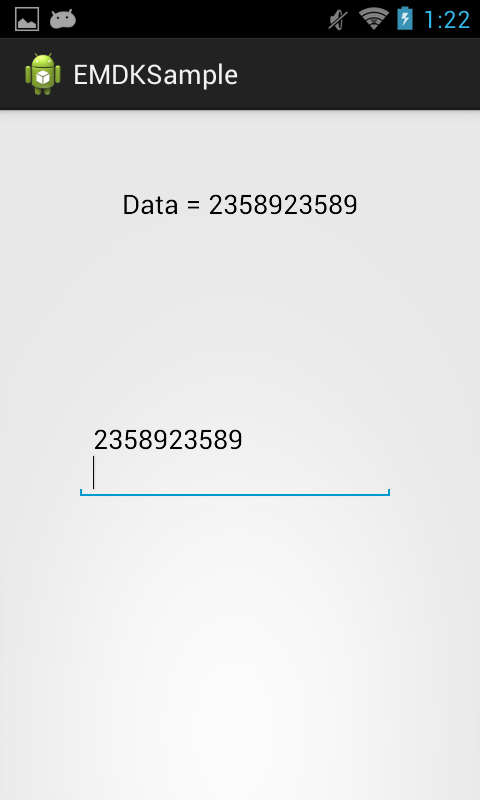 The scanned data will be populated in the Edit Text field Through the previous Keystroke Intent and will appear on the Text View using the new Datawedge Intent. 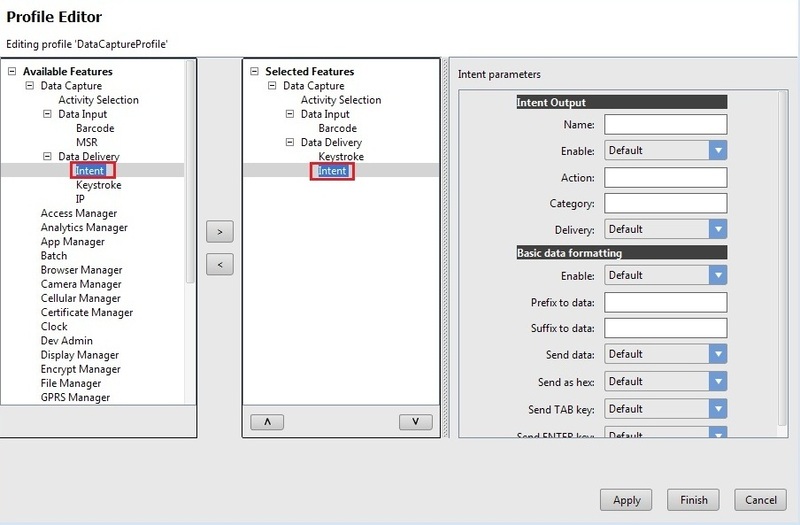 The next tutorial will show you how to use multiple Data Capture Profiles that are handled by multiple activities.